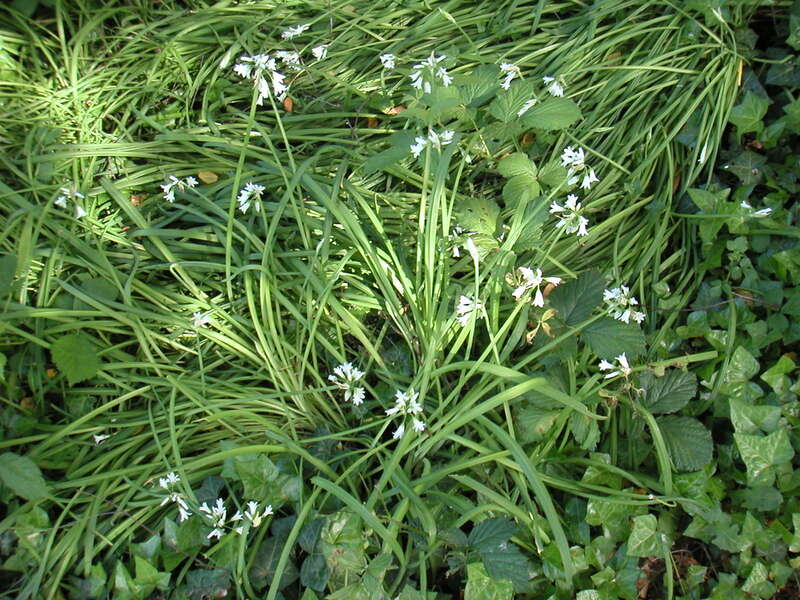 I was really excited last week to come across a sizeable area of wild garlic plants in our local, urban, wood. The season for wild garlic is coming to an end and I had all but given up hope of being able to cook with this deliciously pungent plant. 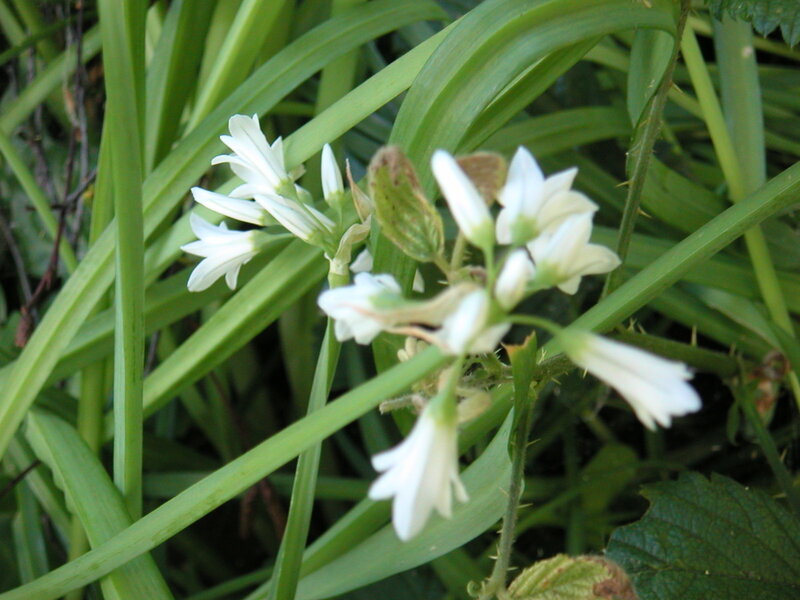 Wild garlic is commonly found in wooded areas, often growing amongst bluebells. 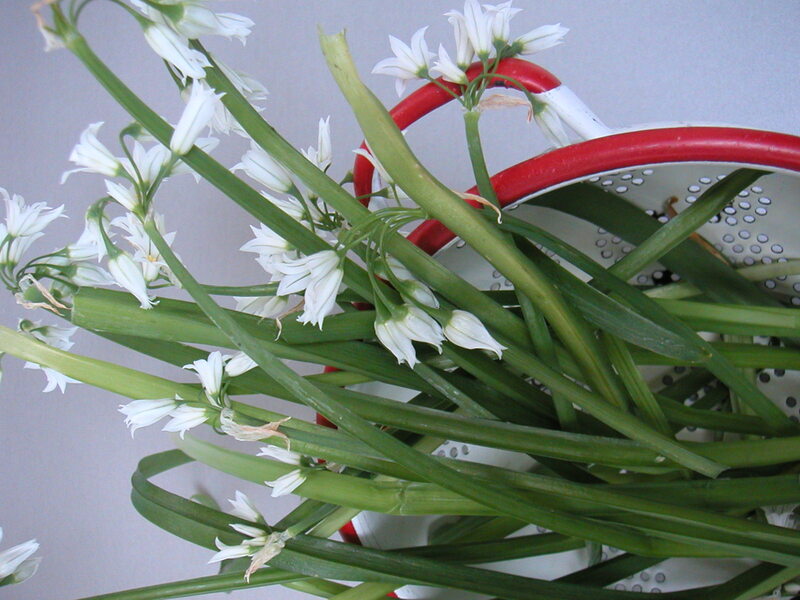 The plants, which belong to the allium family are easy to recognise (the pics above hopefully help) but any doubt you may have is quickly erased when you snap one of the leaves and a very strong garlic odor hits your nostrils! The flowers are edible too, and have a real peppery kick to them. One of the first things I made was a risotto to go with some griddled squid, with the chopped up garlic treated like you would garlic or an onion when making risotto. I think I may have added too many flowers because the end result was quite “hot” despite the fact that I had not added much freshly ground black pepper at all. If, earlier in the season, you can get your hands on wild mushrooms, like morels or St George’s (the 1st English mushroom of the year which appears around St George’s Day) wild garlic is the perfect accompaniment. 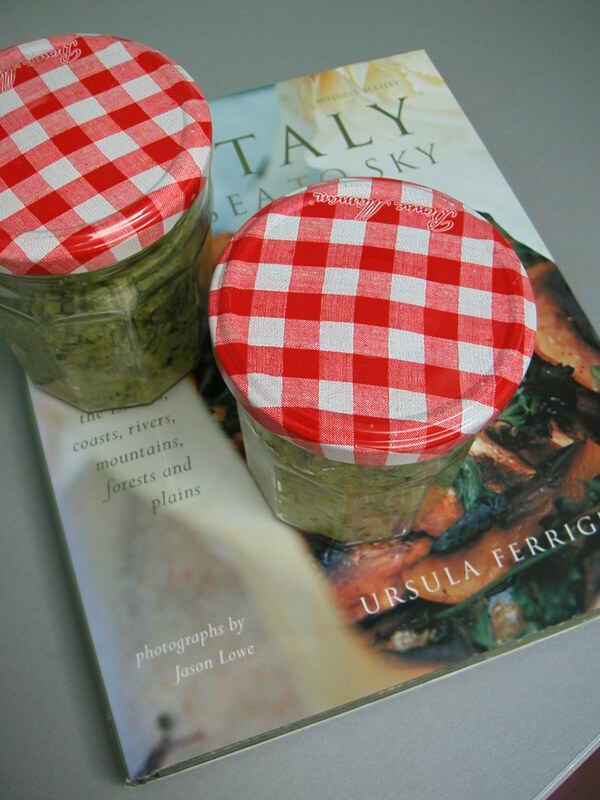 The next thing I made with the wild garlic was walnut & wild garlic pesto, loosely based on a recipe from Ursula Ferrigno’s excellent book “Italy See to Sky”. Makes almost 2 jam jars; keep in the fridge and use up fairly quickly, within 2 weeks I’d say. Just blitz everything together in a food processor: be careful not to over-do it, pulse and check the consistency which I think should be coarse so you can identify the different ingredients, rather than a smooth paste. Love the colour ... and if only you could blog smell: wow! This works brilliantly added sparingly to simply boiled or steamed vegetables such as courgettes, beans and asparagus. It also makes a delicious topping for toasted sourdough combined with some torn buffalo mozzarella; having met Petal the water buffalo at the Real Food Festival, Laverstoke Park is my current favourite. This weekend I am planning to make minestrone with spring veg and I know a blob of garlic pesto in every soup bowl will work a treat! We have also used the wild garlic to flavour spinach + ricotta cannelloni on this week’s Savvy Cook menu. I’ll keep you posted here on my wild food mission. 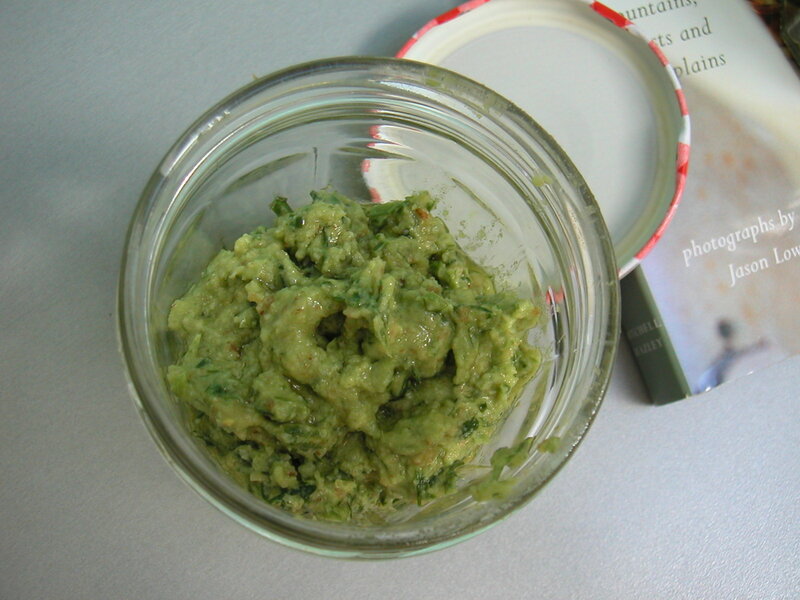 This entry was posted in food education, lessons about food, real food, Recipes, slow food and tagged foraging, free food, real food, seasonal delicacies, wild garlic, wild garlic + walnut pesto. Bookmark the permalink. Wild garlic!? It looks so gorgeous. It was a really great event – and wonderful to hear globally renowned chefs talk about their trade + what inspires them. Good networking too: met up with old and new friends, so all in all time away from the business well spent.